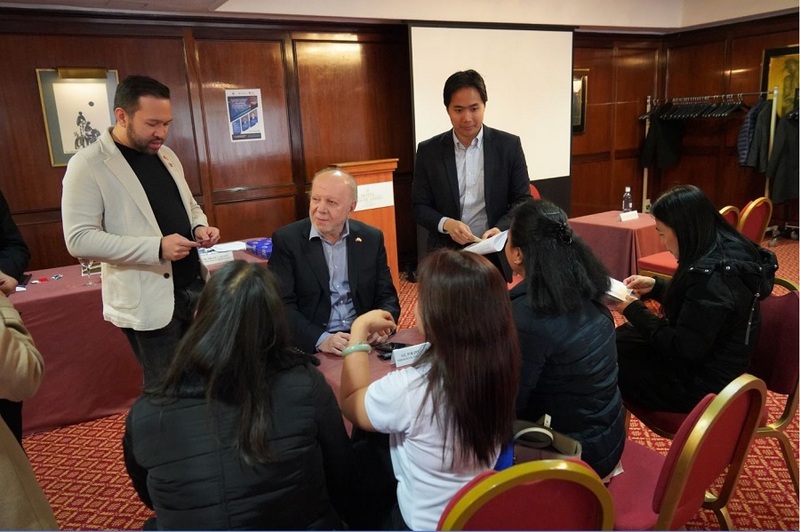 The Philippine Embassy in Madrid, in partnership with the Philippine Franchise Association (PFA), conducted a franchising and entrepreneurship seminar for the Filipino community in Spain, in line with the Embassy’s economic diplomacy program. 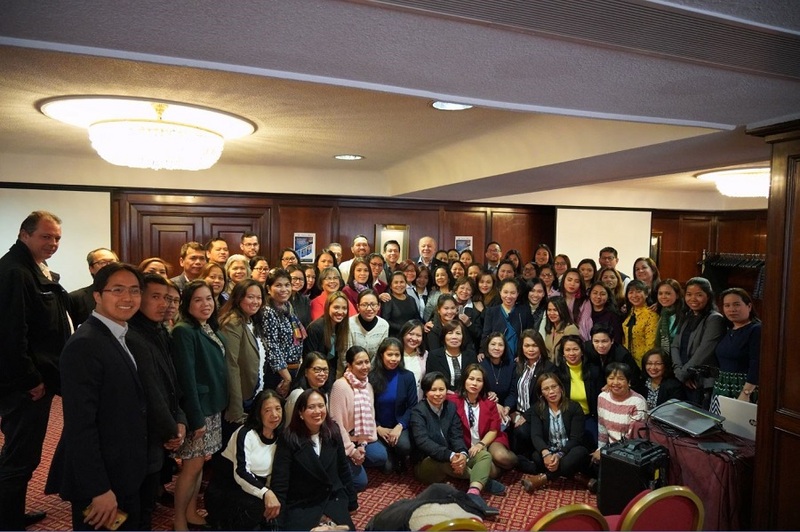 The seminar, entitled “Franchise Investment Opportunities in the Philippines,” was held at the Hotel Miguel Angel in Madrid. The two featured speakers at the event included PFA President Richard Sanz, President and CEO of The FoodAsia Group, and PFA Chairman Alan Escalona, President and CEO of Fruit Magic and Pure Nectar. In his opening remarks to the assembled Filipino community members, Philippine Ambassador Philippe J. Lhuillier noted the great interest in entrepreneurship shown by the Filipino community and underscored the importance of making smart, productive investments. As an example, Amb. Lhuillier offered his own career as a businessman and highlighted the numerous positive contributions of private enterprise to the Philippine economy. 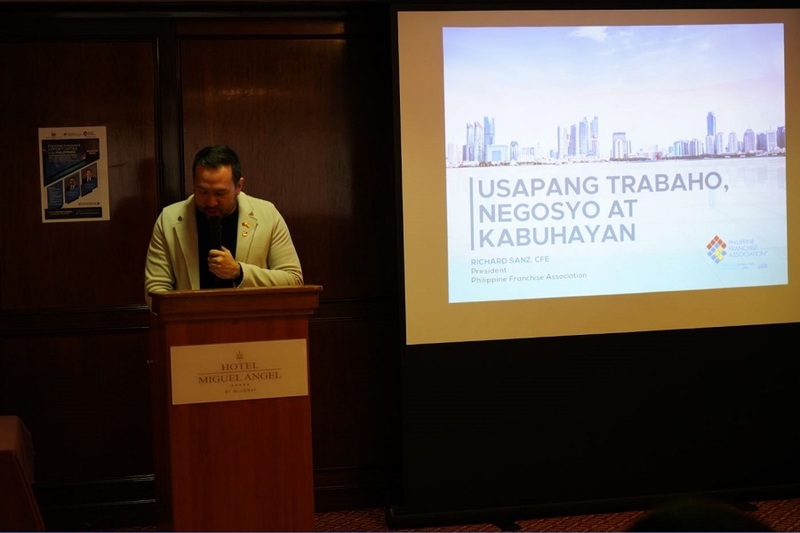 He exhorted the Filipino community to find worthwhile business opportunities in which to invest their money, as opposed to the conventional consumption-based remittance model. 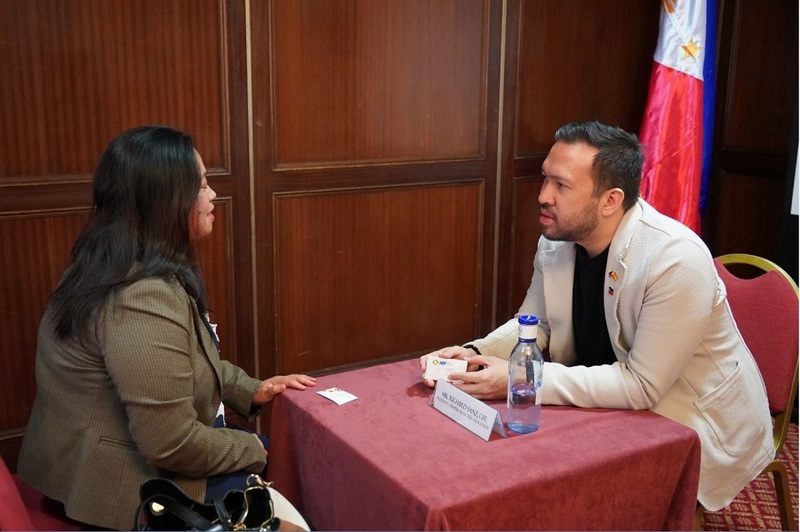 Ambassador Lhuillier advises a participant on her entrepreneurship ideas and shares his private sector experience. Mr. Richard Sanz presented general tips on entrepreneurship and basic financial management and investment options, while describing his personal story of building his own business in his mid-twenties. 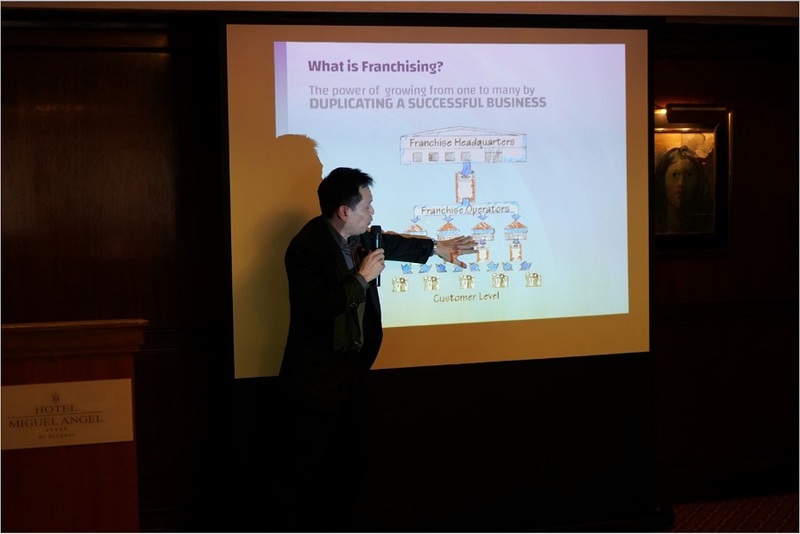 He then presented the numerous advantages that franchising has in comparison to starting one’s own enterprise from the ground up. PFA President Richard Sanz discusses basic financial management and entrepreneurship. Dr. Escalona followed on from Mr. Sanz’s talk and went into greater detail on franchising, with advice on how to look for the proper products or services to promote, how to avoid common scams, the challenges and benefits that one could expect as a franchisee, and the best ways to foster a long-lasting relationship with one’s brand owner. PFA Chairman Alan Escalona presents the advantages of franchising to the participants. The speakers then fielded questions from the audience during the open forum segment. 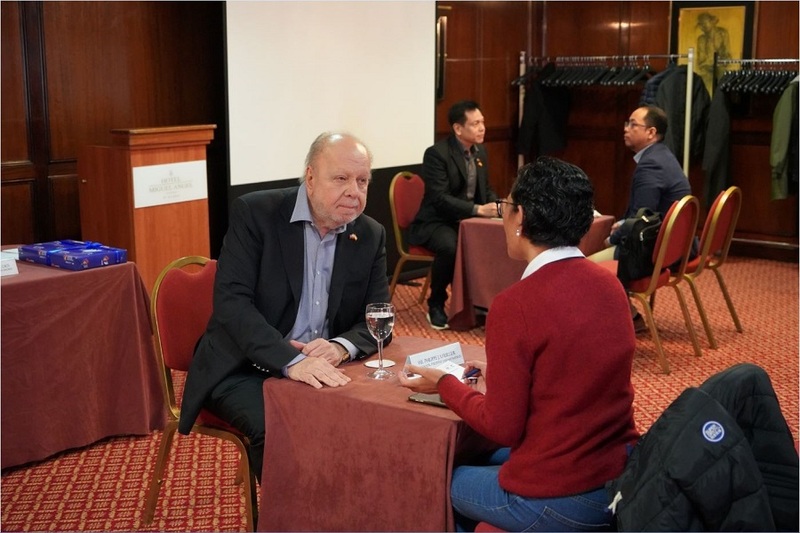 This was followed by a mentoring session for nine participants who had registered in advance, with each participant receiving fifteen minutes of one-on-one advising with Ambassador Lhuillier, Mr. Sanz, or Dr. Escalona. The event ended with a cocktail and networking session for all the participants. PFA President Richard Sanz provides some recommendations to a prospective entrepreneur. Ambassador Lhuillier discusses business opportunities with members of the Filipino community.